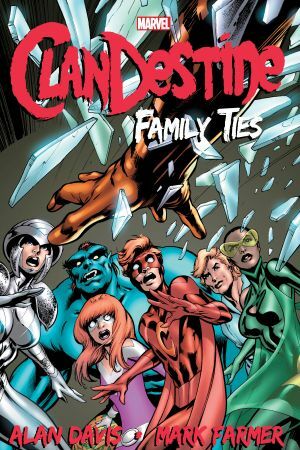 Collects Clandestine (2008) #1-5, Fantastic Four Annual #33, Daredevil Annual (2012) #1 And Wolverine Annual (2012) #1. Alan Davis’ freaky family returns! They’ve existed for centuries, hidden among mankind — a mysterious bloodline of nearly immortal superhumans, eternal and apart. But now, the ClanDestine are threatened with exposure – and with the cat out of the bag, who or what will come calling at the family’s Ravenscroft doorway? As Rory and Pandora try their hand at heroics, Dominic undertakes a cross-time caper alongside Excalibur and clashes with the Inhumans, and Doctor Strange and the Fantastic Four learn the truth behind the years-old death of the evil Vincent Destine. 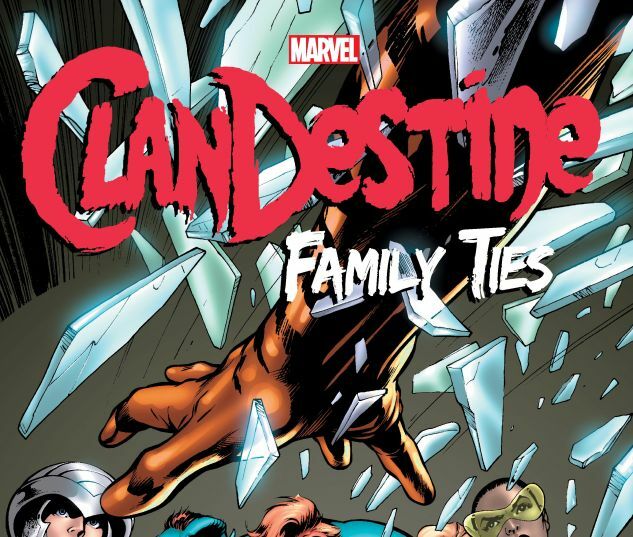 But when Vincent’s spirit returns, roping in Daredevil and Wolverine as part of his scheme to live again, can the Clan ensure their rogue sibling dies again?